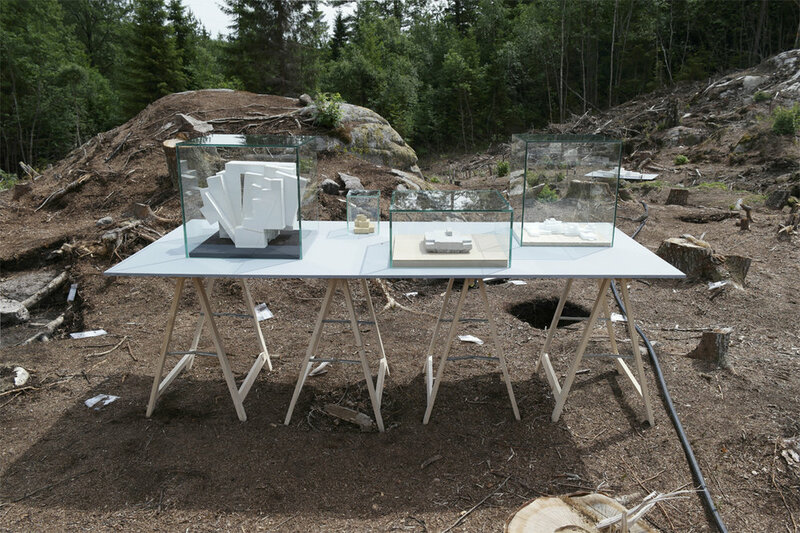 ↑ Film documenting the exhibition at the archaeological site C4 in Arendal in 2016 by Ingvar Flaten Aarnes. The photographs document the the exhibition at the archaeological site C4 and C5 in Arendal in 2016. 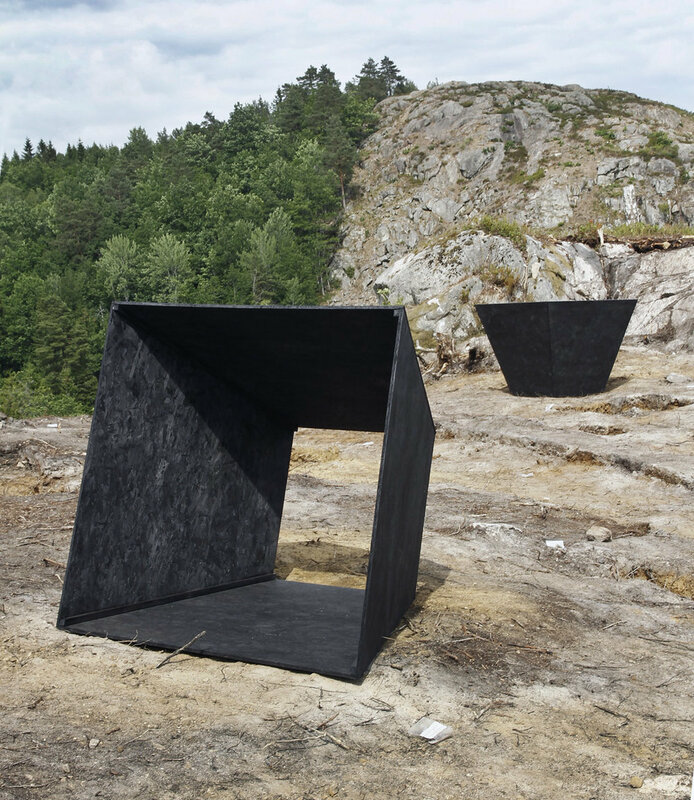 Nina Torp is an artist who works with themes connected to cultural heritage, architecture and archaeology. Through a series of photos, videos, and sculptures, Torp presents an external perspective of the daily work of museum archaeologists and the common cultural heritage they are involved in creating. [fade]The pilot project of SITUATIONS consisted of a series of photographs titled UR-FORM, shown inside the Ethnographic Library and the Antique Collection of the History Museum in Oslo in January 2016. 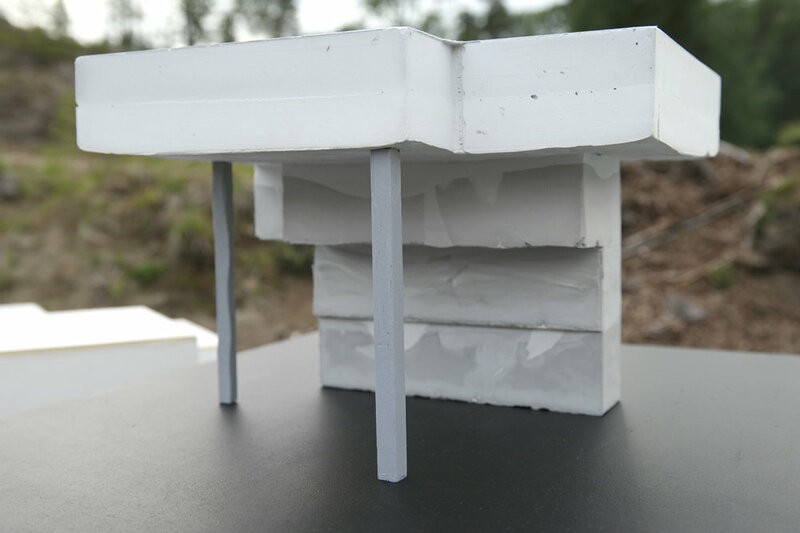 In June 2016, the first part of the SITUATIONS project was exhibited at two archaeological sites in Arendal. The excavation project in connection with the new E18 Tvedestand - Arendal motorway is one of the most comprehensive Stone Age investigations to be carried out by the Museum of Cultural History. Over 30 Stone Age localities were investigated. The sites were located at varying heights above sea level and were mainly in wilderness areas that have not been disturbed by later human activity. This is exceptional in a European context. The sites range in date from c 9000 BC to c 1700 BC and thus cover the entire Stone Age period in Norway. Nina Torp lives in Oslo and is educated at the Royal College of Art, London, Kent Institute of Art & Design, Maidstone, École des Beaux-Arts de Toulouse, France and Oslo Fotokunstskole. Her works include projects dealing with perception and memory. By researching, analysing and interpreting cultural and historical material, she explores how culture and collective memory are created. Her projects often start with an artefact, an historical motif or a cultural phenomenon. Her works include installations made of sculptures, photographs, prints on fibre-boards and wallpaper, and videos. The purpose of her projects is to make the public aware of our standardized way of looking/observation. Website: Gaute Reitan for help rewriting and extracting texts, and Mikkel Cappelen Smith for web design and development. Thomas K. Egset, Rolf T. Hatlehol, Hedvig Poppe, Studio Technika, Gro Lauvland, Catrine Thorstensen, Eva Schjølberg, Gro Botten and Turid Kjellevand.